Authority Engine is all about helping you take your business to the next level with podcasting. You’ll hear actionable strategies, tactics and frameworks from your host Ben Krueger and the top podcasting biz pros like John Lee Dumas, James Schramko, Jaime Tardy, Dan Andrews and more. 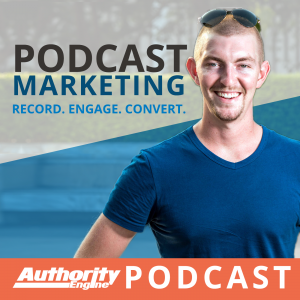 From generating a list of hot leads and building your authority to developing deep relationships and lasting connections with your audience, Authority Engine will show you step-by-step how it’s done so you can start seeing results instantly with your podcast. Learn more and grab our free video training series at AuthorityEngine.com!